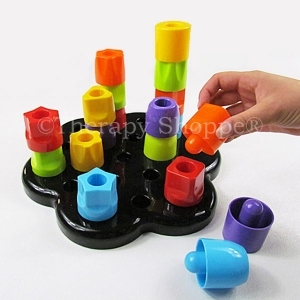 Mega-use pegboard set features a flower-shaped pegboard and 19 super chunky, giant 1-1/2" pegs that come in 6 bright colors and 4 different shapes. 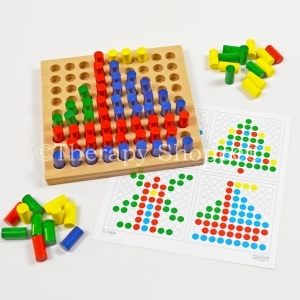 This neat peg activity set is fun for matching, sorting, stacking, building, connecting the pegs like pop beads, and for playing hide 'n seek with your fingertips! 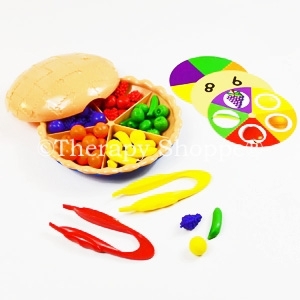 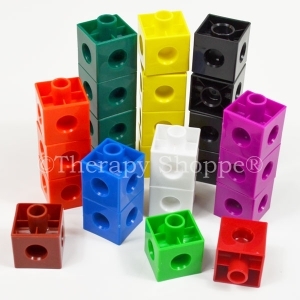 A superb set for developing bilateral, grasping, and eye-hand coordination skills. 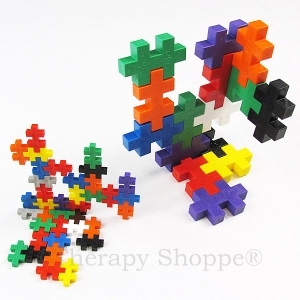 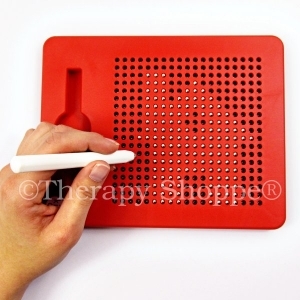 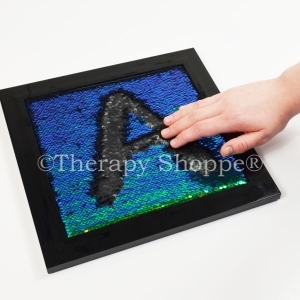 Super Chunky Pegboard Set makes a nice first peg board set for toddlers, and a wonderful fine motor therapy set for tweens-adults in occupational therapy rehab rehabilitation programs. 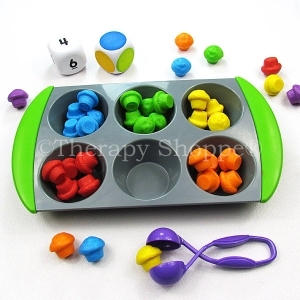 Designed for ages 3-up.